Lommebogen calls this a “cobbler,” which it really isn’t, but close enough. This is the classic summer drink, and it’s perfect to have during a Copenhagen heat wave. 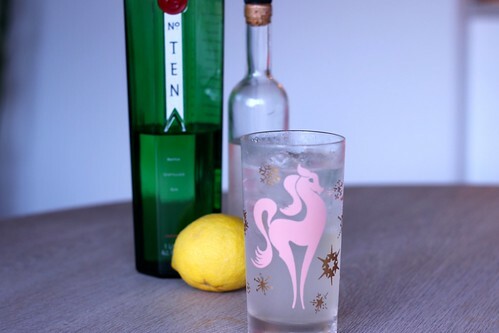 Basically you have a gin lemonade, and it’s lovely. There are all kinds of stories about how it got its name, and I’ll let the Wall Street Journal provide some history for you. You can also find many variations on the Tom Collins, with other names that represent swapping out the main spirit, like John Collins is whiskey, and Juan Collins is tequila. Not surprisingly, all three books have this recipe, but they each have a slightly different take on the proportions to use, with the Café Royal not adding any sugar at all. Like so many similar drinks with lemon and sugar, you need to find the right balance for what you like. The Café Royal is not my style with the high liquor and no sugar. The other two are much better, with the sugar in there, but I encourage you to play with it and find your perfect balance. Such a simple, easy summer drink that is always a crowd pleaser.